Once you start buying candles, there’s no stopping- you’ll be on the look out for new scents before your current crop have burned down. Here’s a list of all the best brands we’ve tried to fuel your burning desire, and tell us about your favorites in the comments. Nest Fragrances can do no wrong. I got a giant holiday gift box a while ago at a past gig and it lasted me over a year. Their winning scent, by far, is their Holiday scent, but if you want something that’s more of an all-year-round thing, opt for the Cedar Leaf & Lavender, Bamboo, or Ocean Mist & Sea Salt. They’re on the pricier side, but with 50-60 hours of burn-time, it’s completely worth it. Plus, all of the votives are gorgeous. I first found Makers of Wax Goods in TJ Maxx and was immediately in love with their Moss candle. It was earthy and sweet without being stuck in any one season. They have a great burn time and excel at scent dissipation. Every time I head over to TJ Maxx, I pick up one or two new scents (though they’re on Amazon and have their own site as well). Women-owned and run Bijou doesn’t just brag about being luxury, luxury is their brand. And yet, all of their soy candles are under $30. With a burn-time of around 70 hours, plus the option to grab 3oz travel tins for under $10, they’re perfect for gifts or for throwing in your bag in case your Airbnb isn’t olfactorily pleasant. Plus, they’re named after Old Hollywood actresses like Audrey, Hedy, and Greta. If you lean towards minimalism, Boy Smells is the brand you should pick up to sit on your stack of books. Scents with simple, straight-to-the-point names like Ash, Coin, Petal, mingle with obscure ones like June’s, St. Al, and Mssr. Blanchy. Their best-selling scent (and the one that caught my eye when I first heard of them) is Kush. It should come as no surprise that Bath & Body Works candles are on this list. I have purchased and re-purchased tons of 3-wick candles from them over the years. I even ask for a gift card for them for my birthday from my boyfriend’s mom (shout out to Lisa who helps fuel my candle addiction). And another non-surprise: you guys voted them as the top brand. I’ve tried a lot of candles over the past two years, and nothing holds a... candle to Ranger Station. Their handmade, double-wick soy candles are like an eternal flame, and dissipate more scent than anything else I’ve ever burned. Oh and they smell incredible. You’re going to want a subscription. 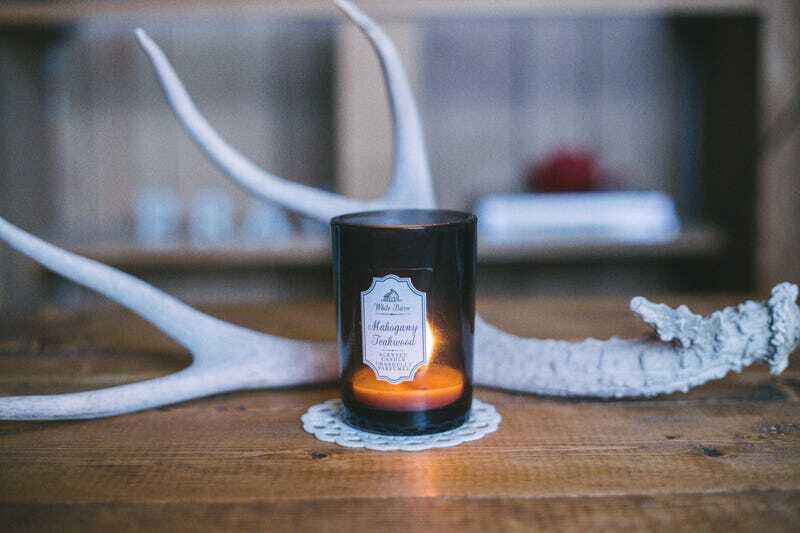 No one does rustic better than Hawk+Hatchet, with scents that’ll have you longing for the woods (and more Hawk+Hatchet candles). You probably know Malin for their excellent range of toiletries, but their candles are also pretty great, especially the Dark Rum scent. Even better, even their votives burn for a ridiculous amount of time and pack a serious olfactory punch. We just discovered Firsthand Supply at the recent American Field event in Brooklyn- a standout men’s apothecary brand in a sea of competition. As a bonus, their candles are also fantastic. Feya candles are down with the sweetness. They’ve launched a lot of new scents since I burned them, but their Brown Sugar & Fig and Creme Brûlée really stand out for those looking for more bakery and less cabin.